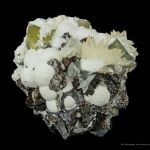 This really neat "combo specimen" has 4 of the big Illinois species. 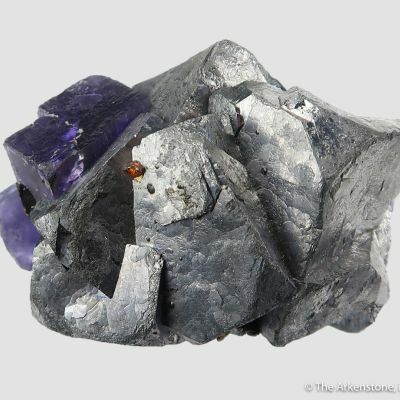 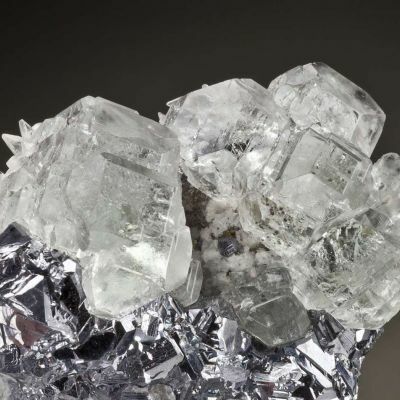 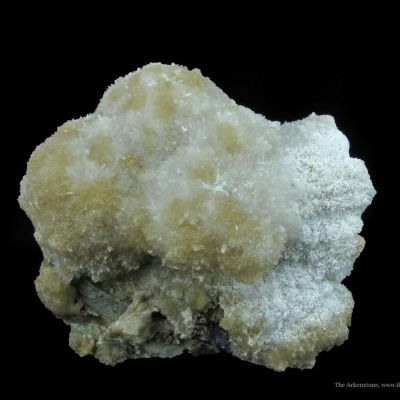 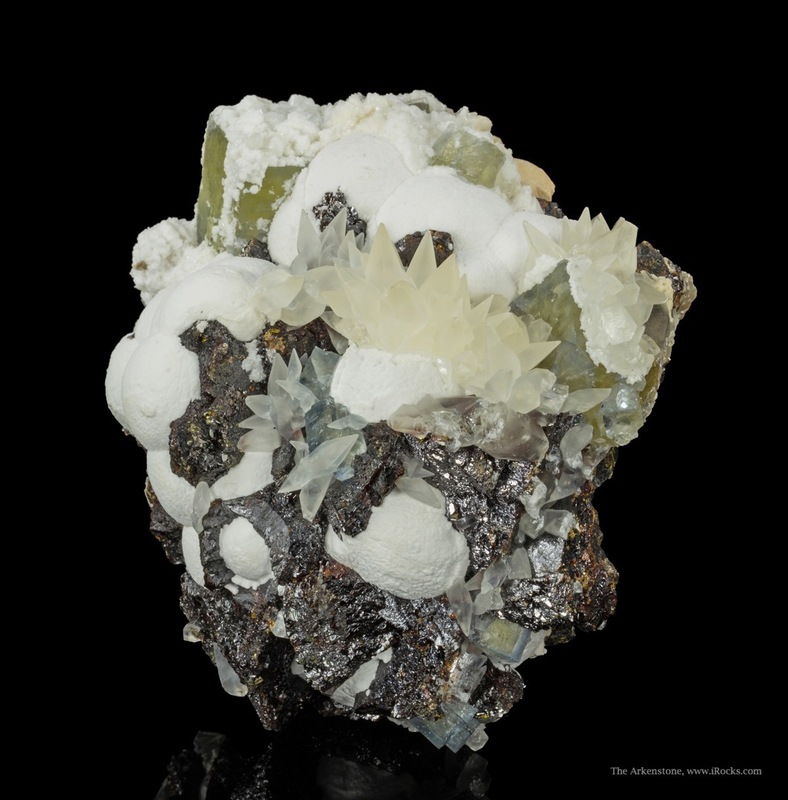 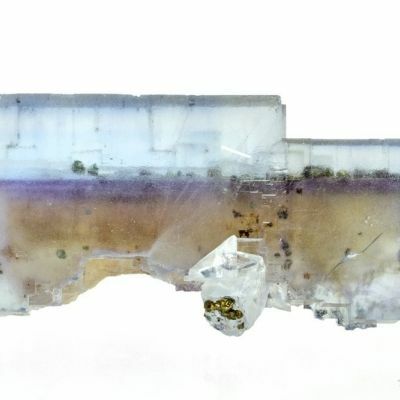 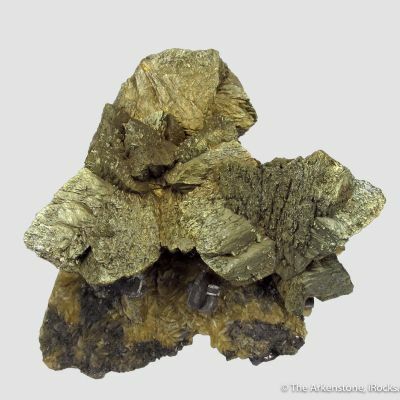 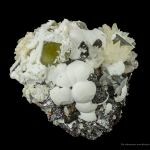 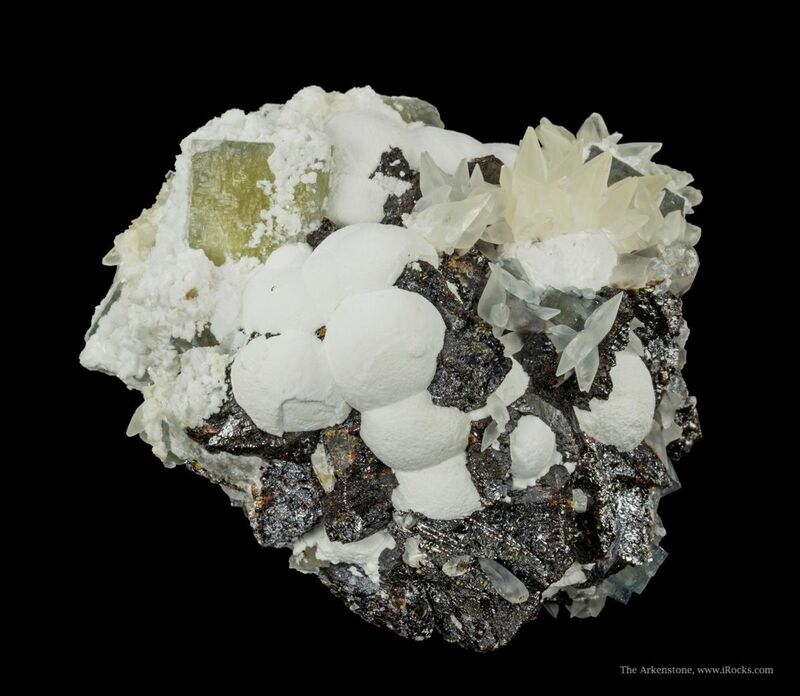 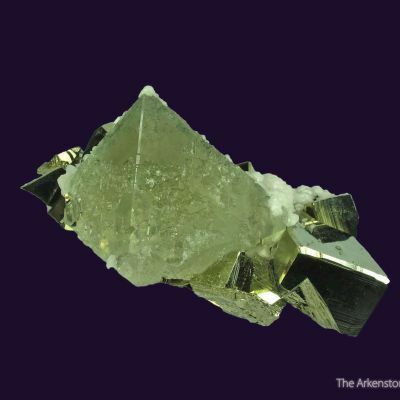 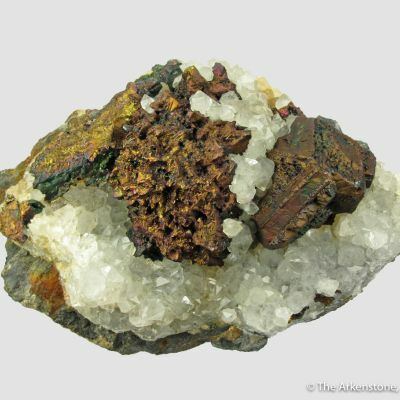 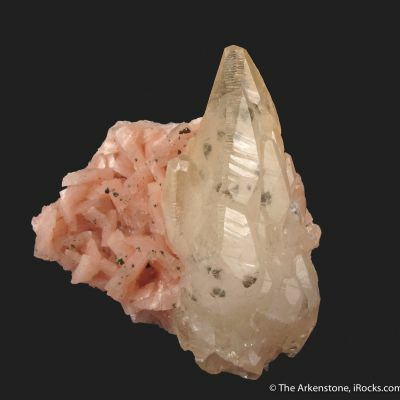 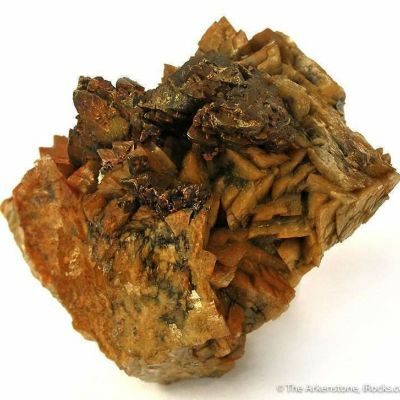 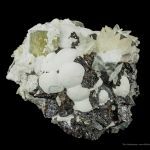 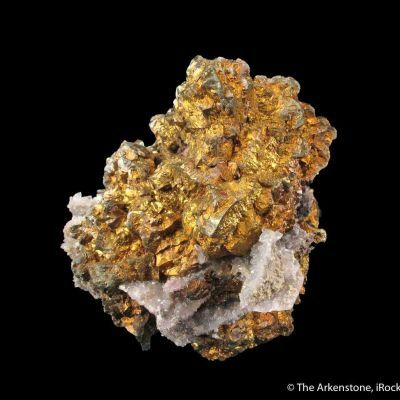 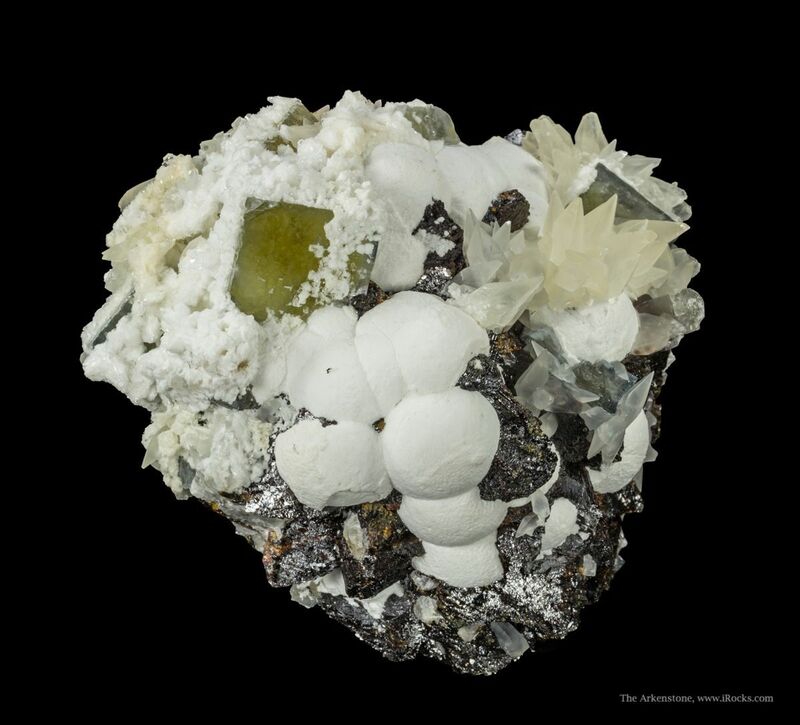 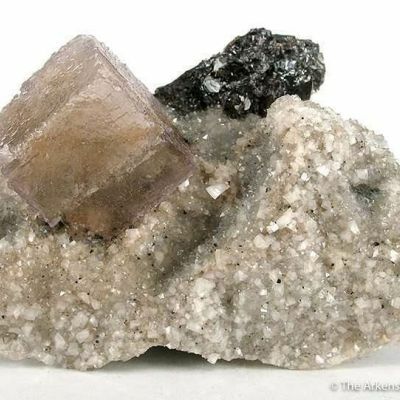 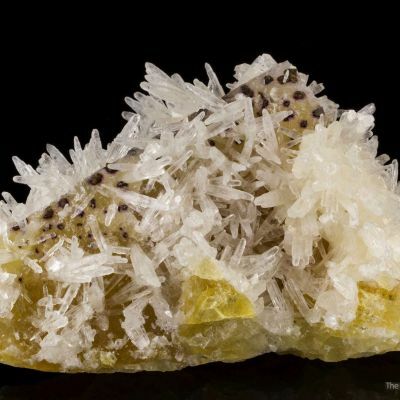 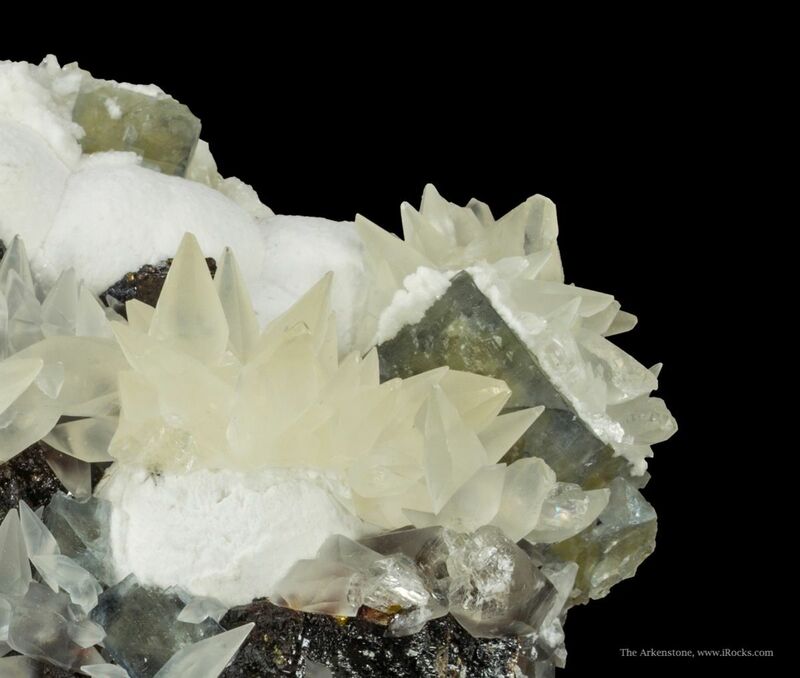 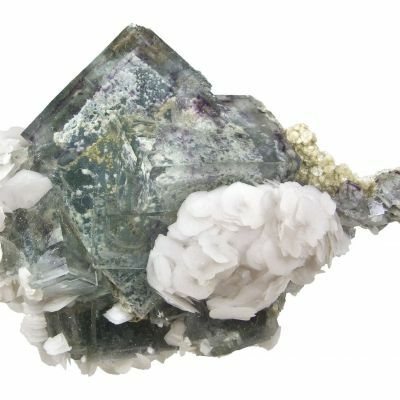 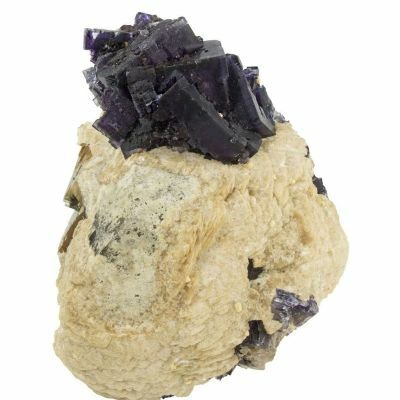 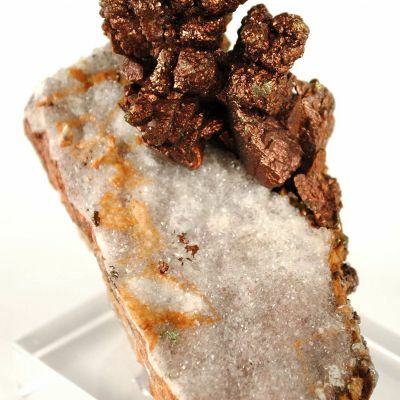 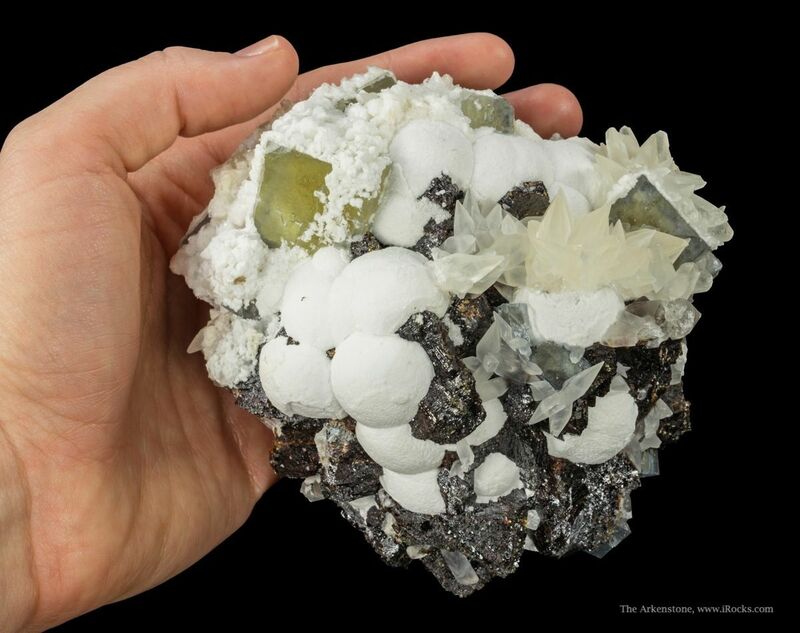 Emplaced on massive sphalerite are lustrous, black sphalerite crystals, to 4 cm across; unusual spheres of white Baryte, to 1.8 cm across; two, lustrous and translucent, amber colored fluorite crystals, to 2.1 cm across; and colorless, scaleohedrons of translucent calcite to 1.8 cm in length. 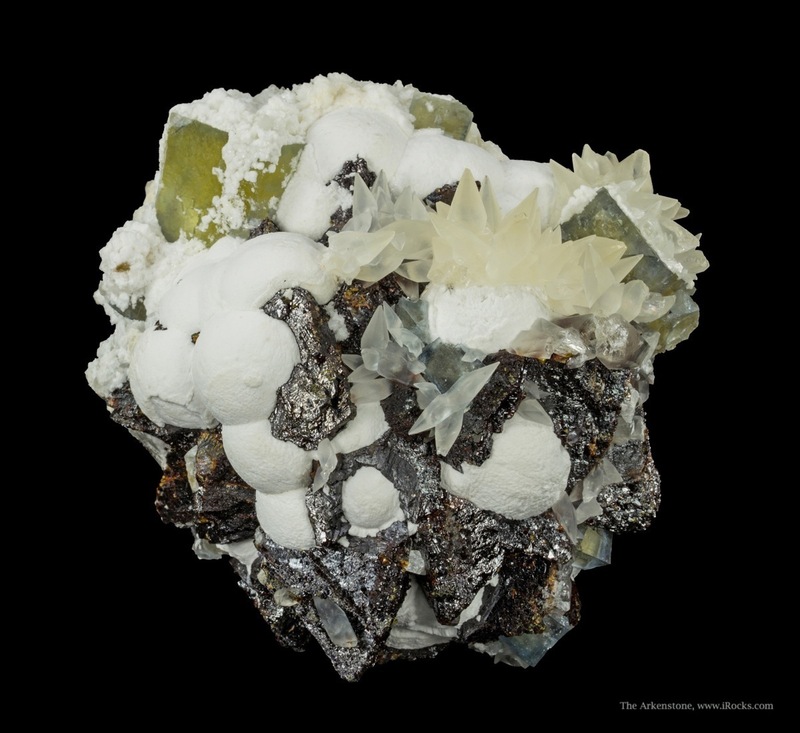 The combination of shapes and colors and geometries is really interesting to look at! 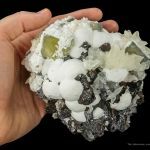 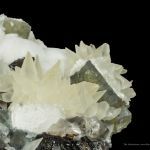 Surprisingly, it is the ball-shaped botryoids of snow white Baryte that draw my own eye the most. 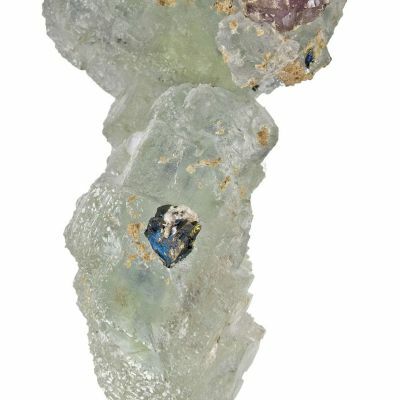 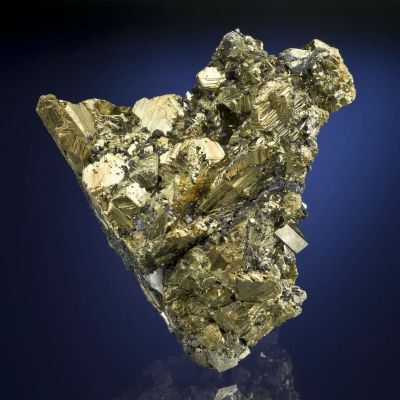 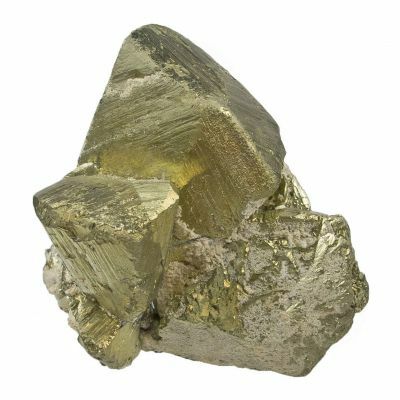 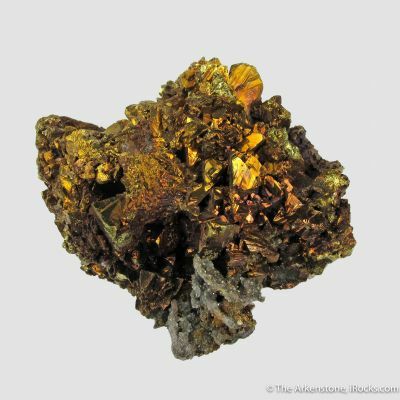 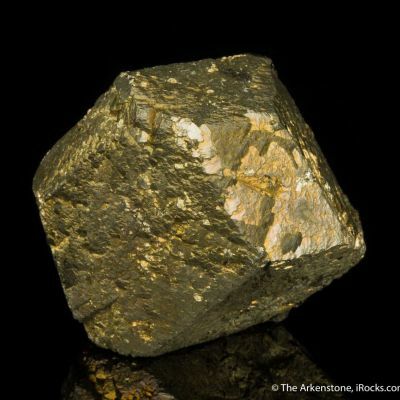 RCL 209, mined 1992.